Fowler pioneered imaging technology to diagnose and treat diseases. List leads in the development of personalized cancer drugs and is Moffitt Cancer Center CEO. 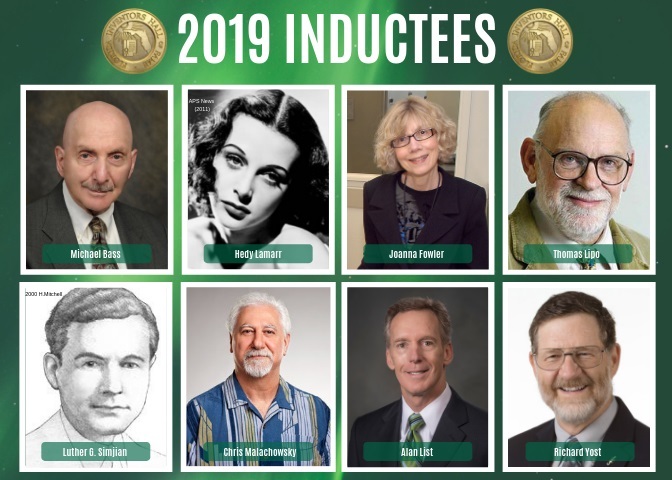 TAMPA – University of South Florida alumna Joanna Fowler, whose pioneering work in molecular imaging was recognized with a National Medical of Science, and Moffitt Cancer Center CEO and President Alan List are among eight diverse and transformative inventors announced Tuesday as the 2019 inductees of the Florida Inventors Hall of Fame. List, who holds a faculty positions in the USF College of Arts & Sciences cancer biology program and in the Morsani College of Medicine’s internal medicine and oncology programs, was selected for his accomplishments in developing novel therapeutic strategies for treating hematologic malignancies such as myelodysplastic syndrome (MDS) and acute myelocytic leukemia (AML). List holds six U.S. patents. They join a varied field of fellow inventors who have left their mark on American innovation, including Hedy Lamarr, the Oscar-nominated actress from Hollywood’s Golden Age and self-taught inventor whose patents in wireless communication technology contributed to the development of modern tools such as Wi-Fi, GPS and Bluetooth. Fowler was presented with the National Medal of Science – the nation’s highest award for lifetime achievement in science – in 2009 by then President Barack Obama in recognition of her accomplishments in developing radiotracers to measure changes to the brain circuits that occur in drug addiction and brain diseases. Fowler was then a senior chemist and Director of the Radiotracer Chemistry, Instrumentation and Biological Imaging Program at the U.S. Department of Energy’s Brookhaven National Laboratory. Fowler played a central role in imaging technique called positron emission tomography (PET). In 1976, Fowler and her colleagues synthesized 18F-fluorodeoxyglucose (FDG), a radiotracer used in PET, and today the technology is used worldwide to diagnose and study a wide range of diseases. 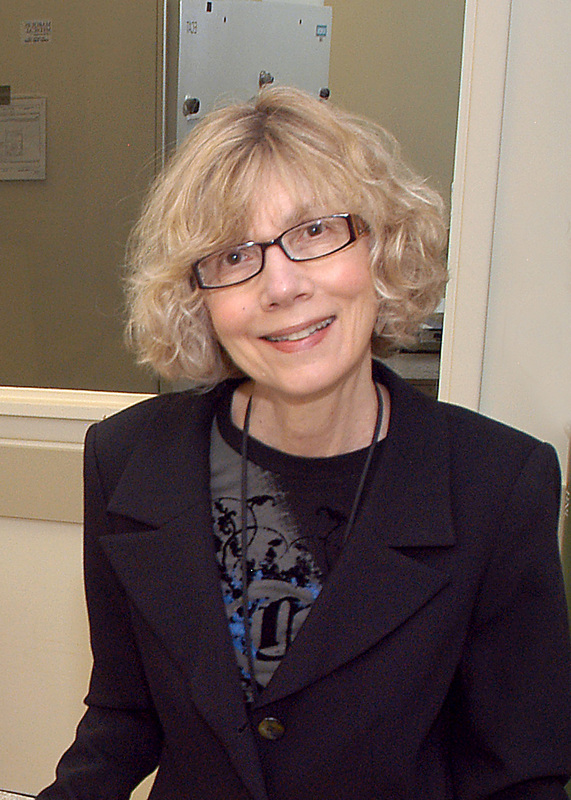 Through her research on the brain circuits that are disrupted through drug use and addiction, Fowler developed a new understanding of how drugs such as cocaine and methamphetamine move through the circuits of the human brain and are crucial in both understanding addiction and developing potential new treatments to combat it. A native of Miami whose first exposure to chemistry research came as an undergraduate at USF, Fowler went on to earn a PhD in chemistry at the University of Colorado and carried out postdoctoral research at the University of East Anglia, in Norwich, England. She joined the Brookhaven Lab in 1969 and has spent her career there. Her many other honors include the Society of Nuclear Medicine’s Paul Aebersold Award and the Department of Energy’s E. O. Lawrence Award; the American Chemical Society’s Francis P. Garvin-John M. Olin Medal; the Glen T. Seaborg Award in 2002. She was elected to the National Academy of Sciences in 2004. In 2011, USF awarded her an honorary doctorate of science. List joined Moffitt Cancer Center in 2003, serving as executive vice president and physician-in-chief, the vice deputy physician-in-chief, and the chief of the Malignant Hematology Division. 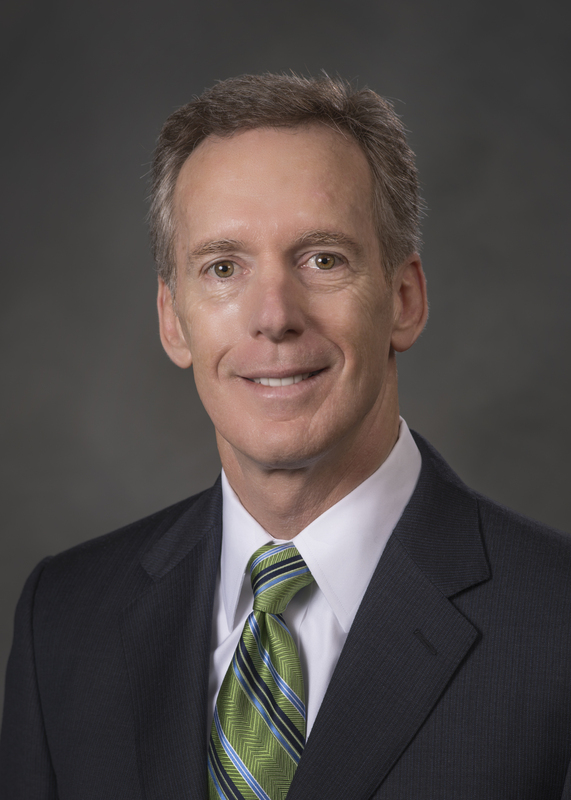 In 2012, List was named CEO and president, and during his tenure the reputation and size of Moffitt has grown to become recognized globally for its approach to healthcare delivery, development of personalized medicine, and contributions to cancer research. List was lauded in his selection for the Florida Inventors Hall of Fame for advancing precision medicine and for discovering the mechanisms of disease progression. List is internationally recognized for achievements in the development of new and more effective treatment strategies for myelodysplastic syndrome (MDS) and acute myeloid leukemia (AML). His pioneering work led to the development of lenalidomide (Revlimid®) from the laboratory to clinical trials, which went on to receive fast-track designation from the U.S. Food and Drug Administration and approval for the treatment of patients with MDS and multiple myeloma. After earning both a bachelor’s and master’s degree from Bucknell University in 1976 and a medical degree from the University of Pennsylvania in 1980, List completed a residency in medicine at Good Samaritan Medical Center in Phoenix and earned fellowships in hematology and medical oncology at Vanderbilt University Medical Center in Nashville. Prior to joining Moffitt in 2003, List was a professor of medicine and director of the Leukemia and Bone Marrow Transplant Program at the University of Arizona. Among his many national and international awards is induction into The Joshua Lederberg Society; the Emil J. Freireich Award for Clinical Research, M.D. Anderson; the J.P. McCarthy International Prize for Advancing the Body of Scientific Knowledge in Myelodysplastic Syndrome; and the General Motors Cancer Research Foundation Merit Award. He is the author of more than 330 peer-reviewed articles and co-editor of Wintrobe’s textbook of Hematology. Michael Bass: Professor Emeritus at University of Central Florida (UCF) in Orlando, selected for his significant inventions in the area of optics and spectroscopy. Hedy Lamarr (1914-2000): Hollywood icon, tinkerer and self-taught inventor, Lamarr retired to Miami Beach in 1981, and later moved to Central Florida where she spent her final days. At the age of 28, Lamarr invented the Secret Communication System (U.S. patent 2,292,387), which is the foundation for frequency-hopping spread spectrum technologies. Her contribution led to the development of countless wireless communication technologies, including Wi-Fi, GPS, and Bluetooth and has spawned significant advances in cybersecurity. However, it wasn’t until 1997, when the Electronic Frontier Foundation (EFF) presented her with the EFF Pioneer Award, that Lamarr was first publicly acknowledged for her pioneering invention. She went on to be the first woman to receive the BULBIE Gnass Spirit of Achievement Bronze Award, and in 2014 she was inducted into the National Inventors Hall of Fame. Thomas Lipo: Research Professor at the Florida State University’s Center for Advanced Power Systems selected for his pioneering innovations in the field of electrical machinery and power electronics that improved the technology that runs subway cars as well as paved the way for hybrid and electric vehicles. Chris Malachowsky: A University of Florida alum and adviser to the UF College of Engineering selected for inventing the Graphics Processing Unit (GPU) that transformed the visual computing industry by creating a consumer-oriented 3D graphics market. Luther George Simjian (1905-1997): prolific inventor, founder of Tampa-based flight simulation and training company Reflectone, Inc, now CAE USA, Inc., and pioneer in the concept of Automated Teller Machines (ATMs) selected for his many accomplishments including the development of the Optical Range Estimation Trainer used during WWII. Richard Yost: Professor of chemistry at University of Florida in Gainesville selected for his invention of the triple quadrupole mass spectrometer, a groundbreaking analytical instrument that is used daily in drug development, disease testing, food safety, and environmental studies.